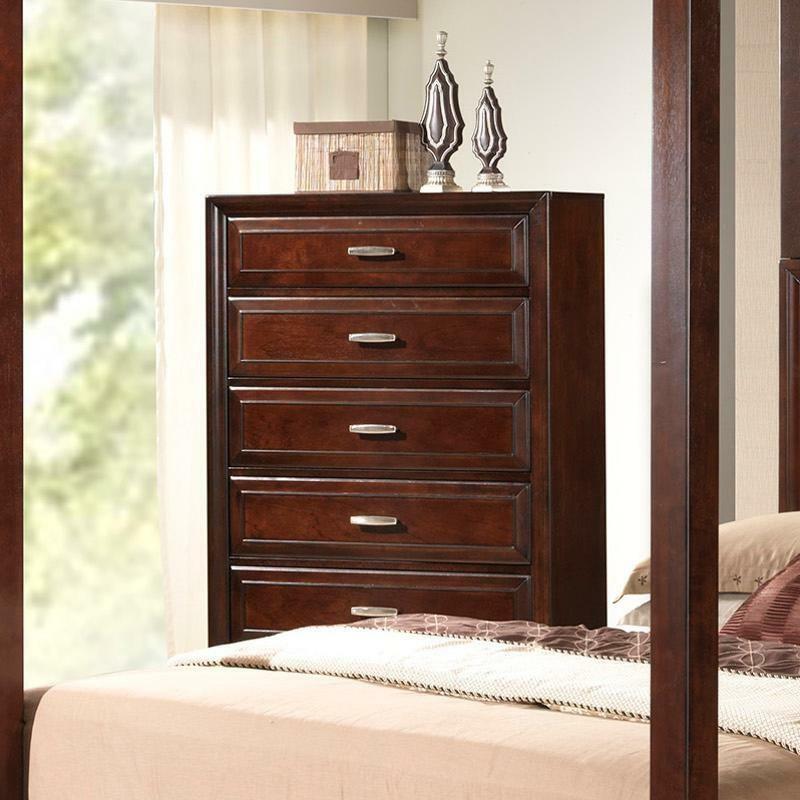 This Darryl bed from Crown Mark will surely add style to your bedroom. 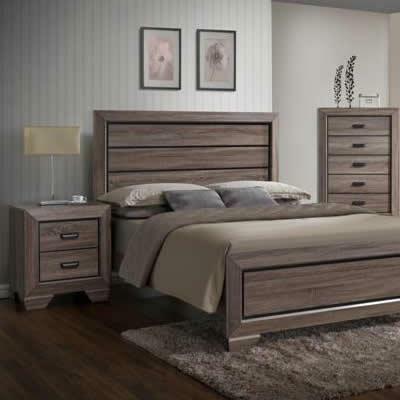 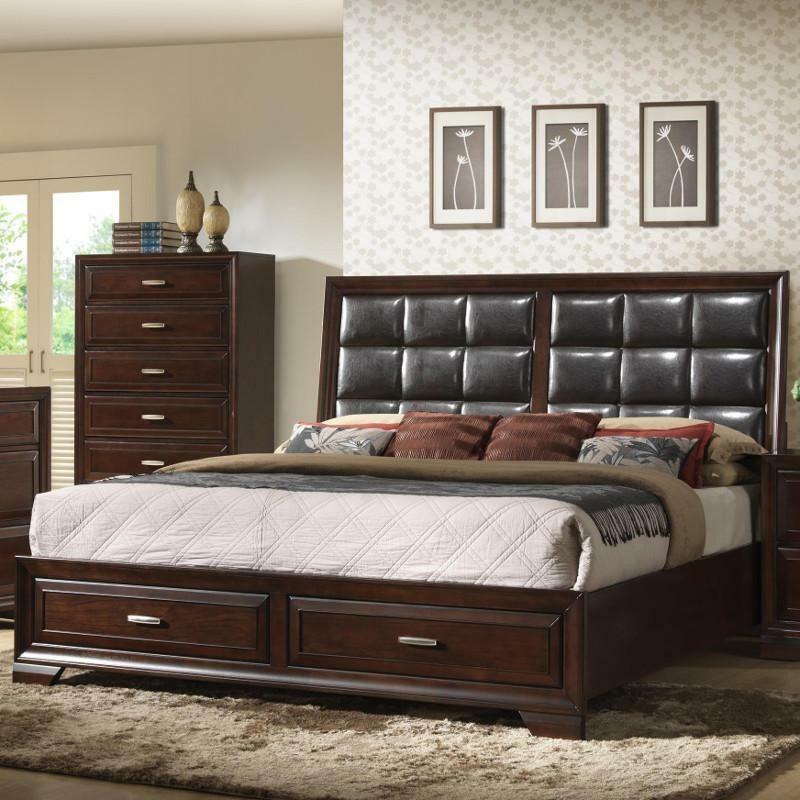 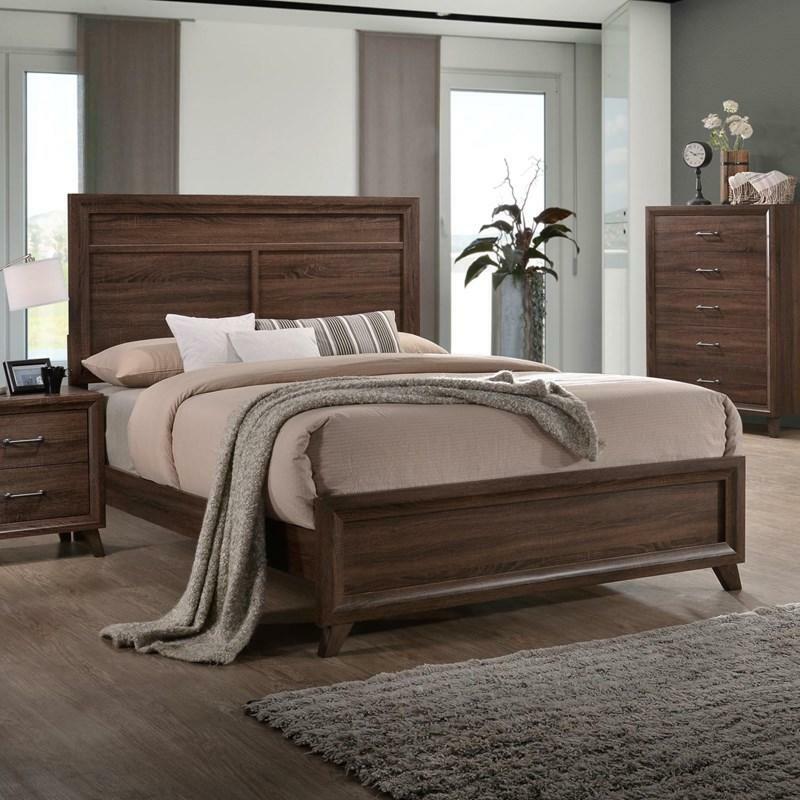 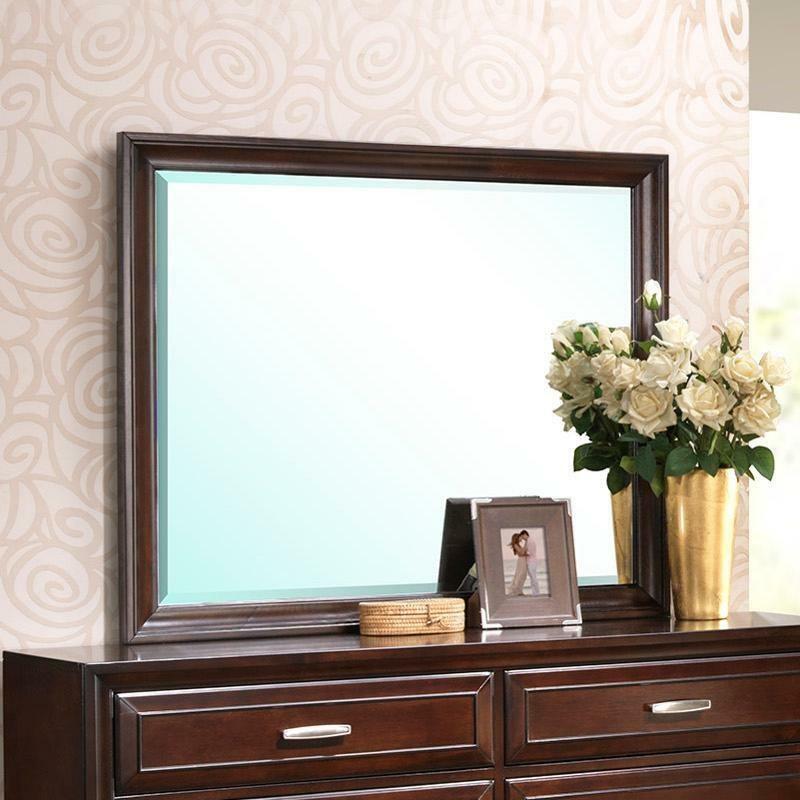 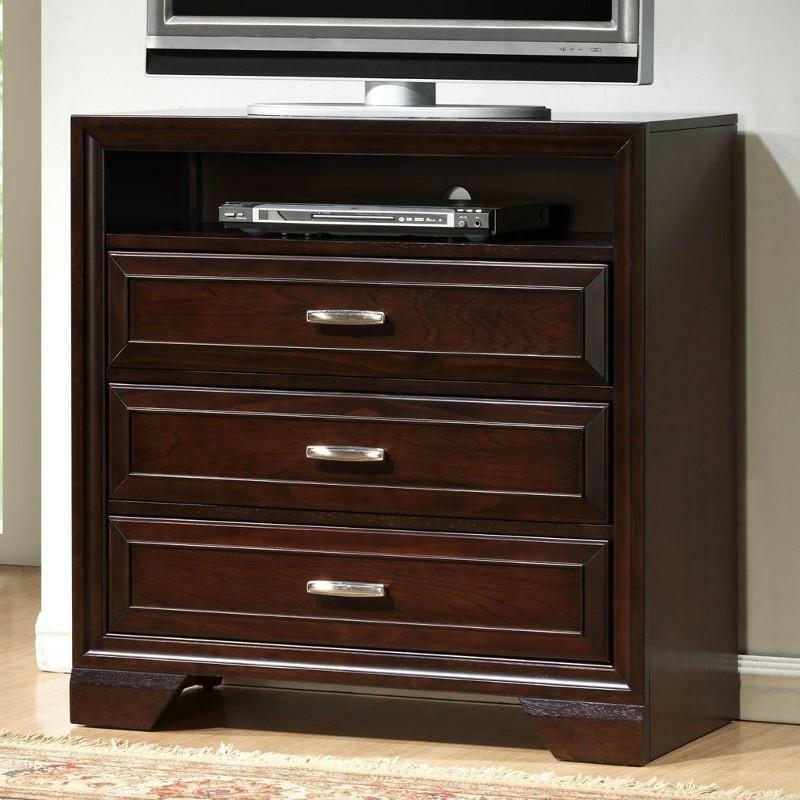 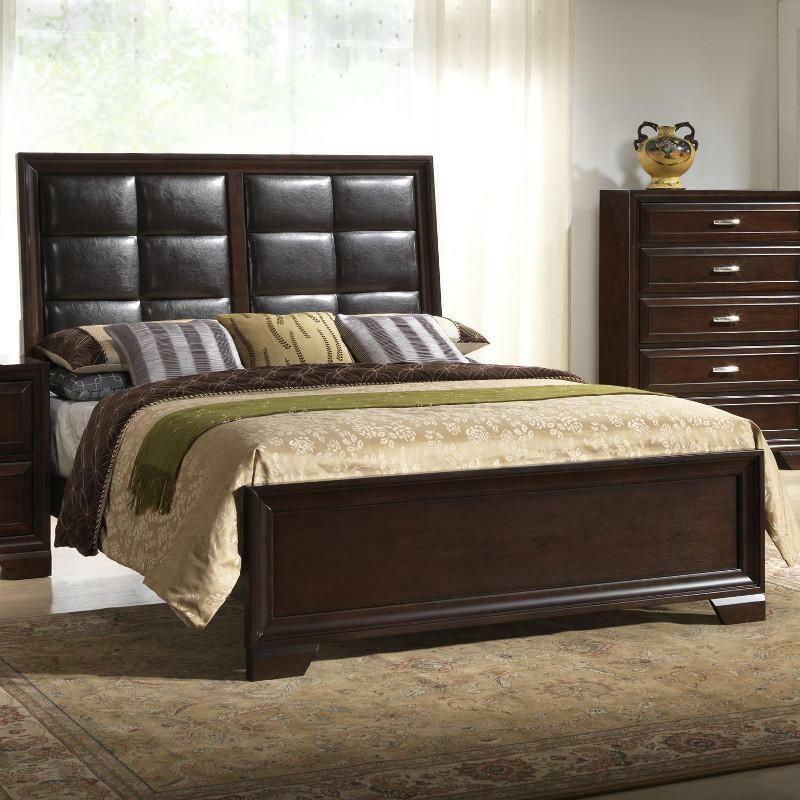 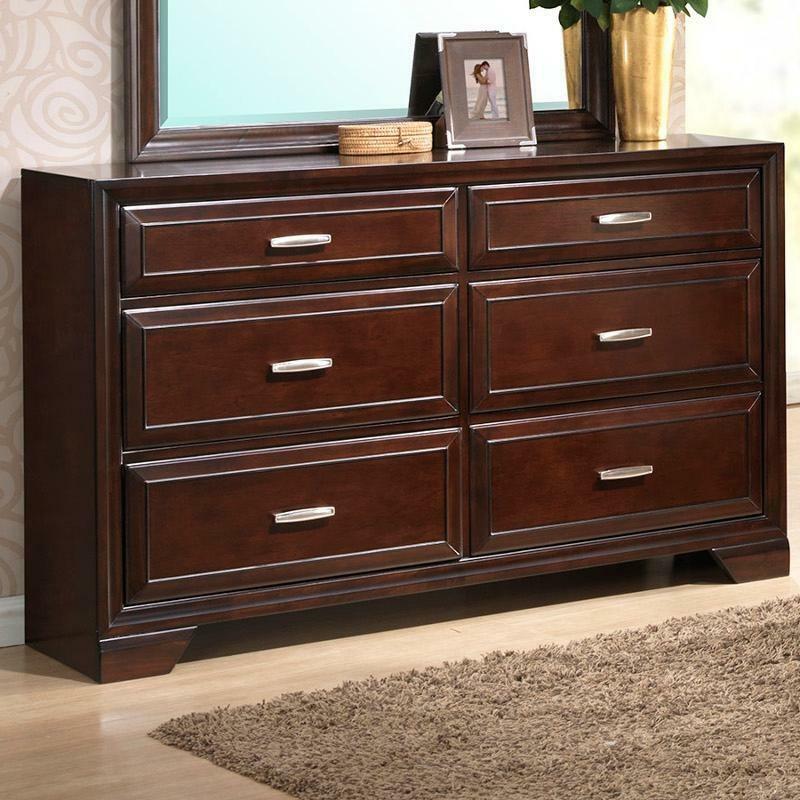 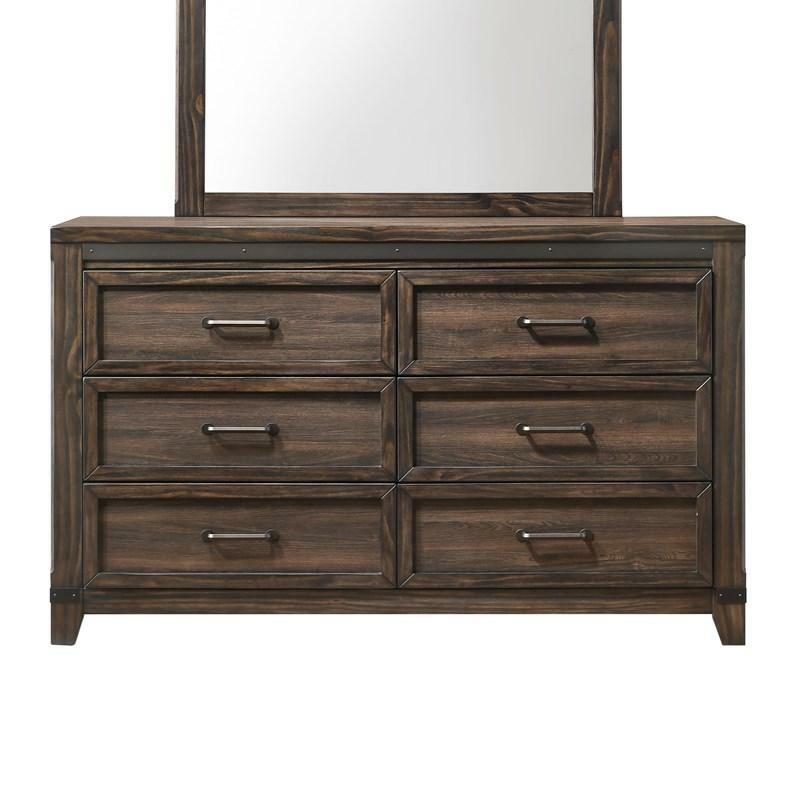 It comes in a warm brown finish and features a panel headboard and a low profile footboard. 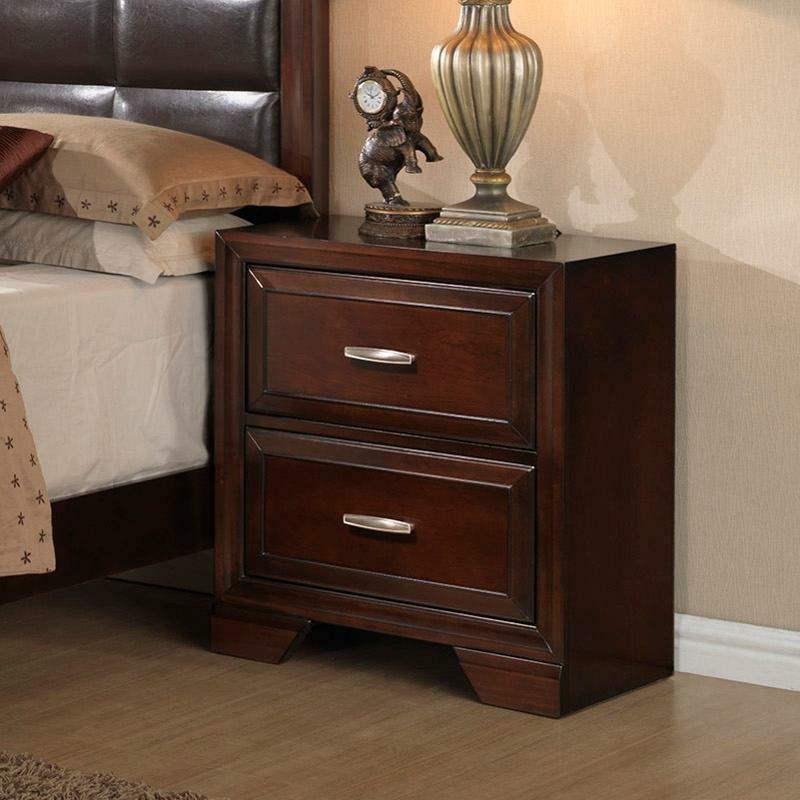 It stands on tapered wooden legs.